if there is any chance of a high-performance engine exploding, it’s going to be on the dragstrip. Pushed to their max, these engines are some of the highest performance power units around. 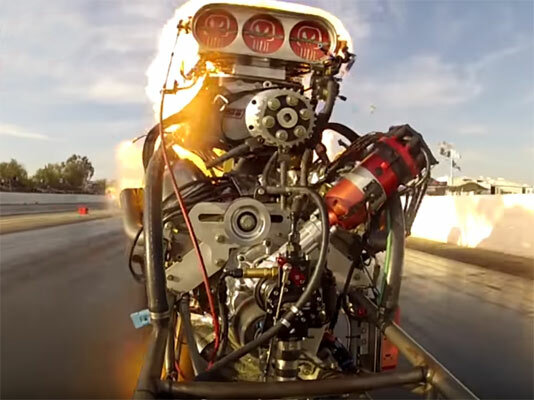 This go pro shops video gives you an idea of the power and stresses put on these drag racing engines. The car gets off the line just fine, but roughly halfway down the track. The supercharger detaches itself, with flames erupting from the engine block. In this case it is just the engine that was damaged, nothing and nobody else. The video was shot by CompetitionPlusTV. ← Previous Story Dodge SRT Challenger Demon, Are The Competition Nervous?